Buyers can contact us for obtaining quality Rice Packaging as we are the trusted Supplier in the market. We undertake bulk orders. Rice packaging is useful for promoting the products or brand. You are able to distinguish your company brand amongst your competitor with the help of effective rice packaging. Basmati rice bags and many others. The most commonly searched for feature of rice packaging include, a packaging that can withstand various weight capacities and one which would be moisture resistant. We produce rice pouches including aluminium foil or metalized layers within your rice packaging design which have high barrier properties, ensuring products’ freshness and also enhance the shelf life of the rice products. We also manufacture custom printed rice packs as per your brand preference. For that we make use of the rotogravure technique which allows us to print up to 9 colors. 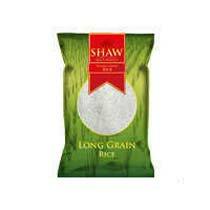 Our rice packaging bags are made with three main kinds of finishing like gloss, matt and shiny.